The purpose of this study is to test empirically and analyze the relationship of good corporate governance principles in proxies with total institutional shareholdings (INSTITUSI), number of commissioners (KOMISARIS), number of joint meetings of board of commissioners (RAPAT), and number of company committees (KOMITE) against Return on equity (ROE) and analyze the role of mediating the concept of net working capital turnover (NWCT). This research was conducted in Indonesia Stock Exchange period (2010-2014) at manufacturing companies. The calculation of total samples obtained is 185 samples of company data (for 5 years) in the manufacturing period (2010-2014). After evaluating the outlier data, there are seventeen (17) outlier data issued based on outlier evaluation, the number of samples from 185 to 168 data. In general, there are three main results of the study. First, the results show that INSTITUSI, RAPAT, and KOMITE have a significant positive effect on NWCT; only KOMISARIS variable is not proven. Second, based on the result of research, INSTITUSI, KOMITE and NWCT variables have a significant positive effect on ROE, while RAPAT and KOMISARIS are not proven. Thirdly, based on the result of mediation test by using Sobel test result, only NWCT is proven to mediate RAPAT relation to ROE, while in the other variables, mediations are not proven. Abor, J., and N. Biekpe. (2007). Corporate governance, Ownership Structure And Performance of SMEs in Ghana: Implications For Financing Opportunities. Corporate Governance: The international journal of business in society 7 (3):288-300. Afrifa, G. A. (2016). Net Working Capital, Cash Flow And Performance Of UK SME. Review of Accounting and Finance 15 (1):21 - 44. FirmProfitability : An Empirical Study Based On Swedish Data. International Journal of Managerial Finance 10 (4):442 - 452. Zarkasyi, M. W. (2008). Good Corporate Governance. Bandung: Alfabeta. Aghajari, M., S. M. K. Mousavi, and R. Mohammadipour. (2015). Examining the Effect of Corporate Governance Mechanisms on Working Capital Management Efficiency of Corporations Accepted In Tehran Stock Exchange. International Journal of Review in Life Sciences 5 (8):63-73. Akbar, S., J. Poletti-Hughesa, R. El-Faitourib, and S. Z. A. Shah. (2016). More On The Relationship Between Corporate Governance And ﬁrm Performance In The Uk: Evidence From The Application of Generalized Method of Moments Estimation. Research in International Business and Finance 38:417–429. Arora, A., and C. Sharma. (2016). Corporate governance and firm performance in developing countries: evidence from India Corporate Governance, 16 (2):420 - 436. Belkhir, M. (2009). Board of directors’ size and performance in the banking industry. 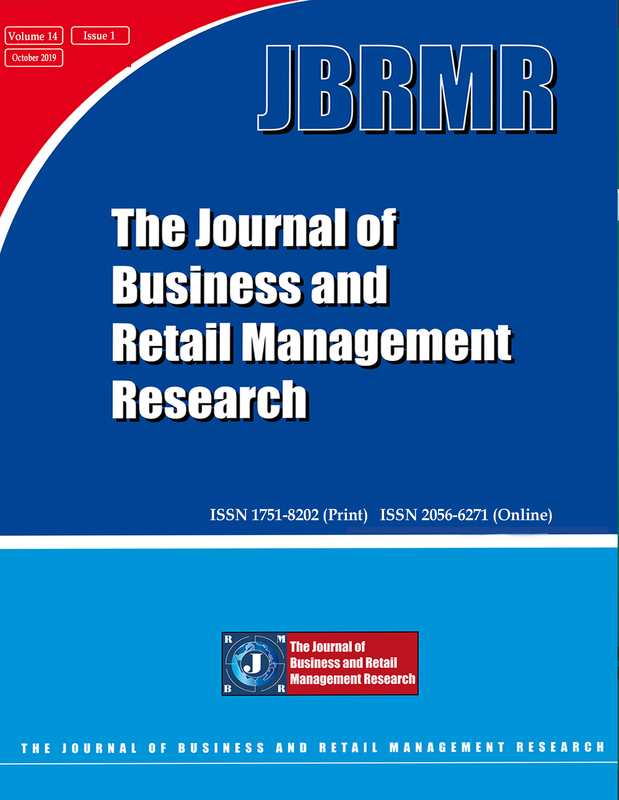 International Journal of Managerial Finance 5 (2):201-221. Brick, I. E., and N. K. Chidambaran. (2010). Board Meetings, Committee Structure, And ﬁrm Value. Journal of Corporate Finance 16:533–553. Brigham, E. F., and J. F. Houston. (2006). Fundamentals of Financial Management. Jakarta: Salemba Empat. Daniri, M. A. 2014. Lead by GCG. Jakarta: Gagas Bisnis. Ghozali, I. 2013. Application of Multivariate Analysis with IBM SPSS 21 Program. Semarang: Badan Penerbit Universitas Diponegoro. ———. (2014).Concepts and Applications with Amos 22.0 Program. Semarang: Badan Penerbit Universitas Diponegoro. Gill, A., N. Biger, and J. Obradovich. (2015). The Impact of Independent Directors on the Cash Conversion Cycle of American Manufacturing Firms. International Journal of Economics and Finance 7 (1):87-96. Gill, A. S., and N. Biger. (2013). The Impact of Corporate Governance On Working Capital Management Efficiency of American Manufacturing Firms. Managerial Finance 39 (2):116-132. Gupta, P., and A. M. Sharma. (2014). A Study of the Impact of Corporate Governance Practices on Firm Performance in Indian And South Korean Companies. Procedia - Social and Behavioral Sciences 113:4-11. Hanggraeni, D. 2015. Enterprise Risk Management and Good Corporate Governance. Jakarta: UI Press. Hassan, M. K., and S. S. Halbouni. (2013). Corporate Governance, Economic Turbulence and Financial Performance of UAE Listed Firms. Studies in Economics and Finance 30 (2):118-138. Hery. (2015). Financial Statement Analysis Financial Ratio Approach. Yogyakarta: Center For Academic Publishing Service. Horne, J. C. V., and J. M. Wachowicz. (2012).Principles of Financial Management. Jakarta: Salemba Empat. Jamalinesari, S., and H. Soheil. (2015). The Relationship between the Efficiency of Working Capital Management Companies and Corporate Rule in Tehran Stock Exchange. Procedia - Social and Behavioral Sciences 205:499 – 504. Kajananthan, R., and S. Achchuthan. (2013). Corporate Governance Practices and Its Impact on Working Capital Management: Evidence from Sri Lanka. Research Journal of Finance and Accounting 4 (3):23-31. Kamau, S. M., and K. A. Basweti. (2013). The Relationship Between Corporate Governance And Working Capital Management Efficiency Of Firms Listed At The Nairobi Securities Exchange. Research Journal of Finance and Accounting 4 (19):190-199. Lam, T.-y., and S.-k. Lee. (2012). Family Ownership, Board Committees and Firm Performance: Evidence from Hong Kong. Corporate Governance: The international journal of business in society 12 (3):353 - 366. Listyani, T. T. (2003). Managerial Ownership, Debt Policy, and Its Influence on Institutional Ownership (Study on Manufacturing Companies In Jakarta Stock Exchange). Journal of Maksi 3:98-114. Navissi, F., and V. Naiker. (2006). Institutional Ownership and Corporate Value. Managerial Finance 32 (3):247-256. Pais, M. A., and P. M. Gama. (2015). Working Capital Management and SMEs Profitability: Portuguese Evidence. International Journal of Managerial Finance 11 (3):341-358. Sartono, A. (2010).Financial Management Theory and Applications. Yogyakarta: BPFE. Sekaran, U. (2006).Research Methodology for Businesses. Jakarta: Salemba Empat. Shleifer, A., and R. W. Vishny. (1986). Large Shareholders and Corporate Control The Journal of Political Economy 94 (3):461-488. Sutedi, A. (2012). Good Corporate Governance. Jakarta: Sinar Grafika. Torea, N. G., B. F. Feijoo, and M. d. l. Cuesta. (2016). Board of Director’s Effectiveness and the Stakeholder Perspective of Corporate Governance: Do Effective Boards Promote the Interests of Shareholders and Stakeholders? BRQ Business Research Quarterly (19):246-260. Ukaegbu, B. (2014). The Signiﬁcance Of Working Capital Management In Determining ﬁrm Proﬁtability: Evidence From Developing Economies In Africa. Research in International Business and Finance 31:1–16. Vahid, T. K., G. Elham, A. k. Mohsen, and E. Mohammadreza. (2012). Working Capital Management And Corporate Performance: Evidence From Iranian Companies. Procedia - Social and Behavioral Sciences 62:1313 – 1318. Wardhani, R. (2006). Corporate Governance Mechanisms in Financially Distressed Firms. Paper of Nasional Accounting Symposium IX. Padang:1-26.